DEAL: Discount ski tickets (36% off ) are available on Get Ski Tickets but only if purchased with lodging! 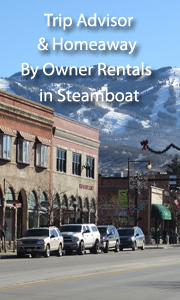 out our great Hotel picks and by owner vacation rentals for Steamboat! We offer discounts on ski tickets, lodging, by owner rentals (ski in and out only), and apres ski ideas for Steamboat Springs, Colorado. Steamboat Springs has it all - great lifts, great runs, fabulous for families and for those seeking some nightlife after skiing. It has a beautiful cowboy-style ski town as well. 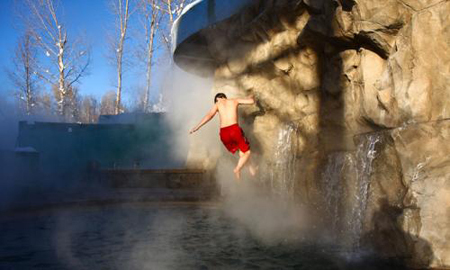 Steamboat is famous for its "champagne powder!" 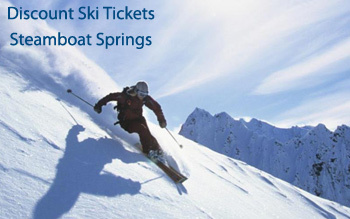 DEAL: Discount ski tickets are available on Get Ski Tickets but only if purchased with lodging! Featured: Ptarmigan Inn - Book it! 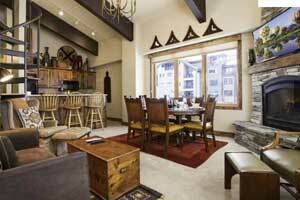 Gondola Square -2 bed, 2 bath, slps 6, from $230/nt -- Book it! Trip Advisor #FKN2053491 -Only Gondola Square can boast this combination - the closest possible location to the Steamboat ski area and an affordable price. At the base of the Steamboat Gondola, these one and two-bedroom plus loft condominiums are just steps away from the Gondola, Ski School, and the Kids Vacation Center - and are in the midst of shopping, restaurants, and apres ski activities. 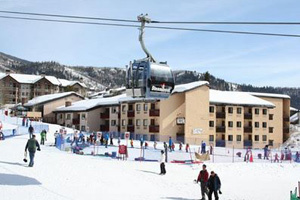 Heated underground parking is provided in the gondola building with an elevator that leads to the condominiums.Guests staying at Gondola Square Condominiums may use the pool, hot tubs, saunas, day lockers, and fitness center at the Sheraton Steamboat Resort only 50 yards away. Great Apres Ski Ideas for Steamboat! Nightlife is amazing! Check out our page on Steamboat restaurants, activities and nightlife! Christy Sports is offers 20% off of rentals if you order ahead. North America Ski Discounts had negotiated a relationship with Christy Sports and offers you a 20% discount thru our portal. Did you notice kids ski free? 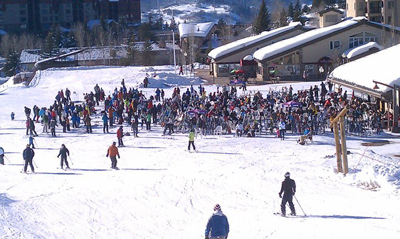 Call (970) 879-0371 for Christy Sports in Steamboat Springs Ski Resort at the Base. Steamboat is located near the town of Steamboat Springs. Averaging snowfall of 334 inches a year, Steamboat attracts powder hounds that flock to Steamboat for its “champagne powder” and some of the best glade skiing anywhere. The resort is served by 23 lifts and has terrain suitable for skiers and riders of all ability levels. Steamboat also has two terrain parks for the tricksters and jibbers.